Friday Daydreamin': National Parks Week - R We There Yet Mom? In honor of National Parks week here in the US, I am daydreaming’ about a wonderful trip to this National Park in Wyoming in 2007…..
My hubby & I had the privilege of visiting Jackson Hole in August – it was wonderful – perfect weather, stunning views, and so much to do outdoors! We white water rafted, hiked, and stood in awe of the gorgeous Grand Teton Mountains. We will definitely be going back!! Have you been to a National Park? Have a picture of it? Link up and tell us all about it here! Don’t forget to sign up to win YOU or a SIGNIFICANT MOMMA in your life $250 in the Mother’s Day Giveaway sponsored by 26 amazing blogs. It is super easy to enter via a rafflecopter located here. I would LOVE to see one of my followers win the cash! Click here to learn more! Beautiful photo! We haven’t been to any of the U.S. National Parks, however, there are several of them on my wish list – Grand Teton is one of them. Happy Friday to you! Grand Teton Nat’l Park is so beautiful, but I’ve never been able to spend a lot of time there. Would love to do some hiking and stay for a couple of days. That’s definitely a postcard worthy shot! Beautiful picture! I would love to go there one of these days. Such a great shot of the Tetons. 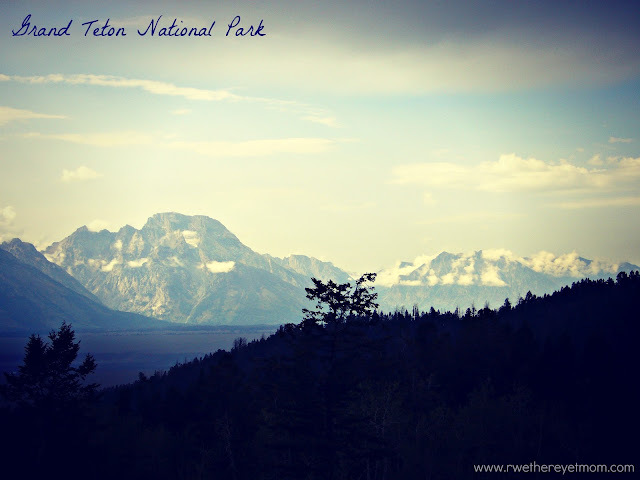 You know I love those National Parks =) We regret not spending enough time at Grand Teton but would love to return too. I was a week early on my National Park photo. Gorgeous! I haven’t seen nearly enough of the US Northwest. I had planned a trip to Grand Teton NP years ago – to climb the Grand – and then a renovation project got in the way. I need to try again and I have no excuses with a good friend living in Jackson Hole. Great photo. Lovely shot! I can’t imagine anyone not wanting to visit a national park wherever it might be in the world…always awesome scenery and lots to do. Great shot! It looks really relaxing. We love visiting National Parks as a family! They stimulate the mind and the soul and it sure doesn’t hurt that they are inexpensive and FUN too! We also love, love, love the National Parks. Travel goal is to hit all of them. Wish me luck haha. Beautiful shot! Did you know that every WordPress.com account is also a Gravatar.com account? If you can log into WordPress.com then you can also log in, here, using that same information!